Authorities are currently hunting a suspect in central Tennessee after a Dickson County sheriff's deputy was shot and killed on Wednesday. The suspect has been added to the Tennessee Bureau of Investigation's Most Wanted list. 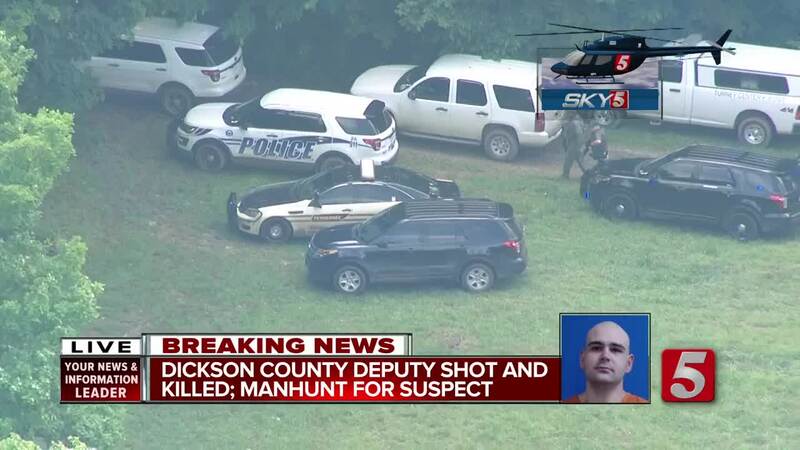 Officials are searching for 31-year-old Steven Joshua Wiggins west of Nashville in connection with the death of Sgt. Daniel Baker with the Dickson County Sheriff's Office. Baker was killed Wednesday morning after responding to a call about a suspicious vehicle. He was found inside his patrol car. Wiggins, who has been arrested for aggravated assault and misdemeanor vandalism in the past, is considered to be armed and dangerous. He’s been added to the Tennessee Bureau of Investigation’s Top 10 Most Wanted list. The reward for his capture has been increased to $12,500.